Deep red plays with warm dark brown and is off set by peaches and light natural. Chartreuse makes it pop. With fall in full swing, winter is just around the corner and so is Christmas. This mosaic could go either way, Autumn or Christmas. 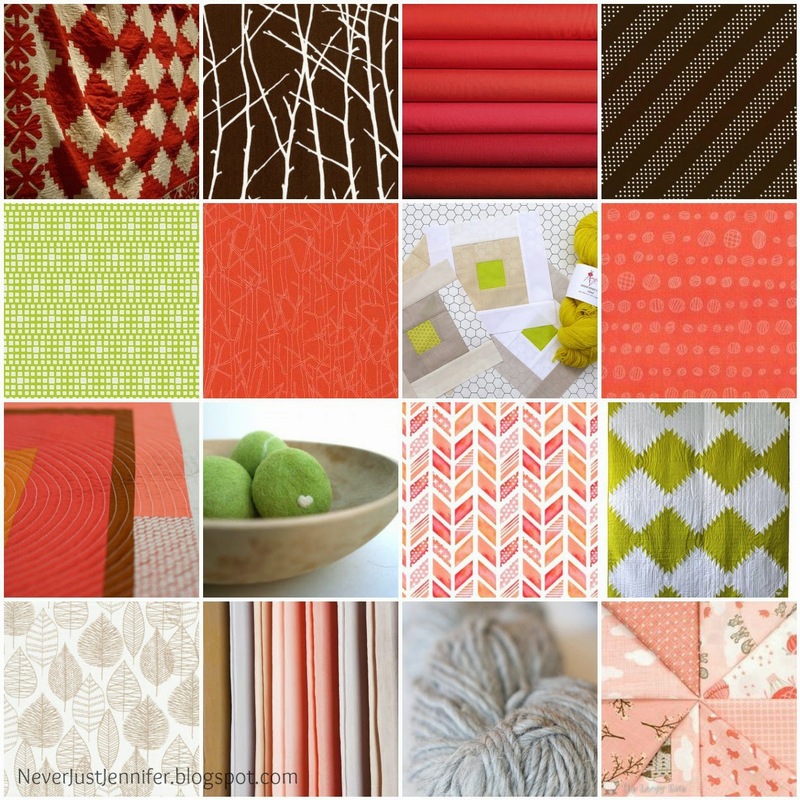 Just more proof that Red and Green can be more versatile than traditional holiday colors. 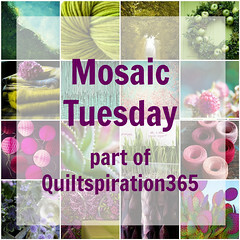 Be sure to search for #quiltspiration365 for even more inspiration!